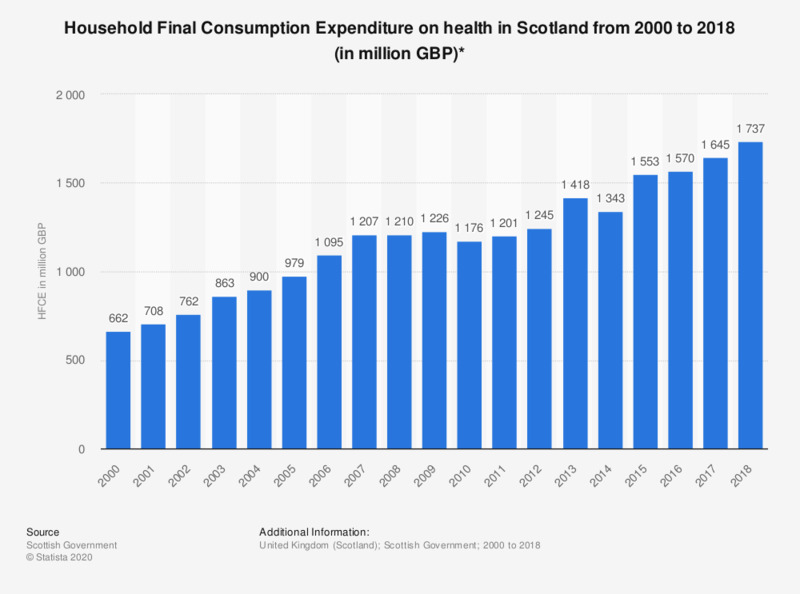 This statistic shows the household final consumption expenditure (HFCE) on health at current prices in Scotland from 2000 to 2017. Household health expenditure rose over this period. In 2017, the HFCE on health amounted to approximately 1.6 billion British pounds.